Anyone that knows me knows I love eggs, specifically poached eggs - the perfect ones where the whites are cooked and the yolk is runny gooey liquid gold. No doubt it's a technical skill to perfect and I admire those chefs that turn them out perfect each and every time. 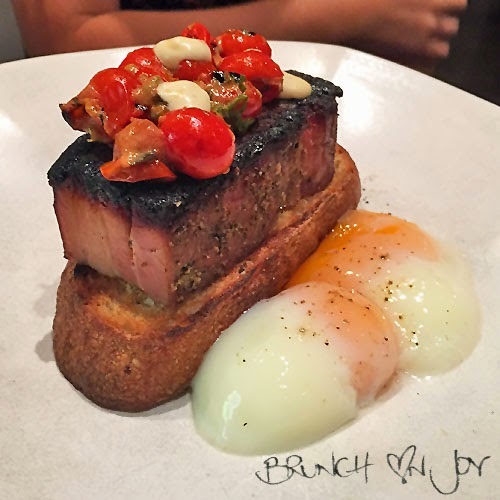 At Yellow, their poached eggs are super creamy and hold their shape so elegantly. This version is almost cheating as they are slow poached in batches but a very clever idea as they have other techniques to worry about like clarifying their soup and making licorice bread! 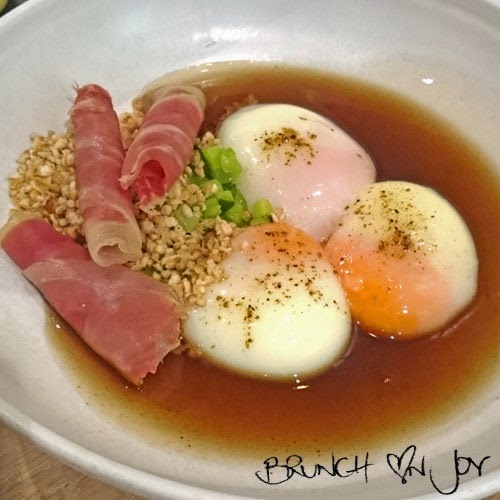 With a constant change in the five key egg dishes on the short brunch menu, it's a bit of a lucky draw on each visit. 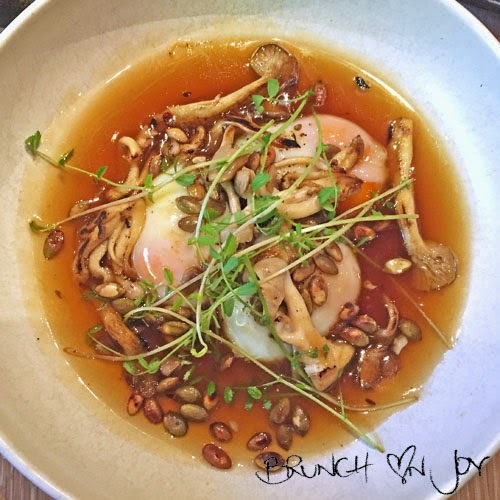 The poached eggs with a consomme is a regular on this menu. The first time I visited it was charred onion consomme and pancetta with puffed barley that added a nice crunchy texture. The second time was pumpkin consomme and mushrooms with toasted pumpkin seeds. Like a soup, I would recommend getting a side of toast ($7) to dip and soak it up. 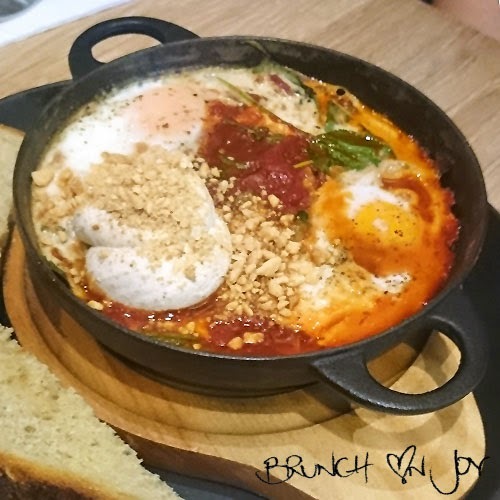 Also a regular on the menu is the baked eggs served in a hot pan with a side of toast. I didn't get to try this but a hungover (perhaps still drunk?!) fellow bruncher smashed it, lovingly scooping out big chunks with her bread. 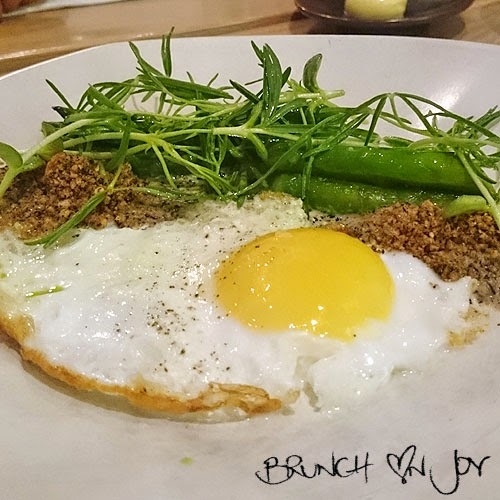 Not so regular is the fried duck egg, served with asparagus, shaved fennel and brown rice. It looked liked an art piece, interestingly the brown rice was cooked, dried and crushed so it was like crumbs. Different. I liked it. Another non-regular is the scrambled eggs dish, although pictured here the dish has poached eggs. The house made bacon was a big chunk of pork, burnt on one side. I thought is was another strange technique but it was burnt and a little dry (oops!). 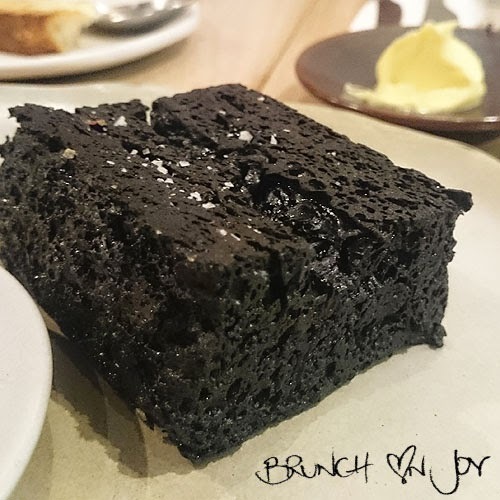 The licorice bread is a must try at Yellow. I think it's their signature dish and not wanting to ruin the surprise, it has a crunchy outer edge from being toasted and it is soft, melt in the mouth bread. It tastes even better with a bit of butter too. So you probably get the idea now that Yellow has an interesting and very original menu. Drinks are also a short list of fresh juices, a couple of breakfast cocktails and champagne. 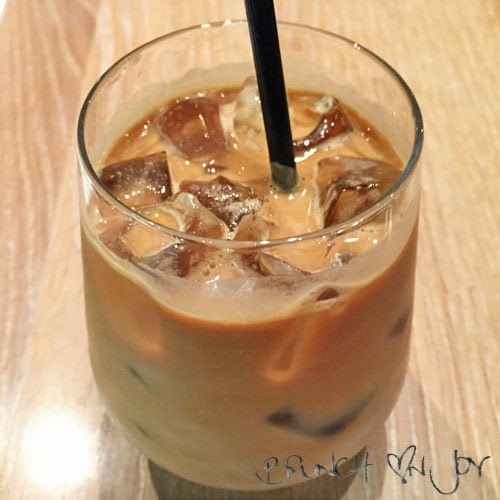 They serve Vittoria coffee and have an option of iced coffee. Formerly an art gallery, many great artists have come and gone from this Yellow house. 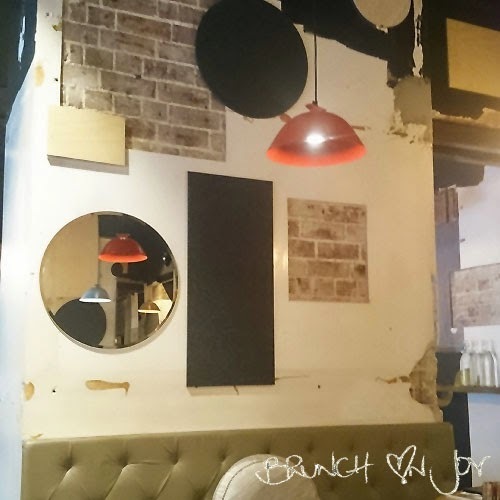 Now converted into a dining room with mismatching hanging lights, mirrors and the odd squares of exposed bricks, you can relax and enjoy a lazy long weekend brunch here. 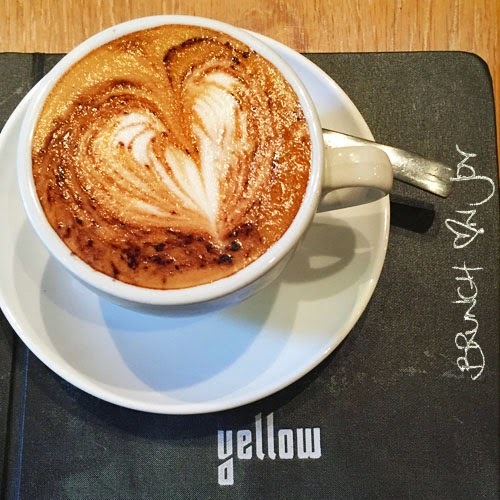 Yellow doesn't serve up your classic breakfast menu but a short list of original and inventive interpretations showcasing some real skills so be prepared for something different. those eggs look perfect and ive heard so much about their charcoal bread! You have to try their licorice bread Suzy! Love the look of the eggs!